What starts out as a good premise for a b-movie becomes repetitive and irksome. It repeats the same situations over and over with little creativity or actual scares. Mandy Moore and Claire Holt are trying but 47 METERS DOWN is clearly aiming to be a more claustrophobic version of the SHALLOWS, with Blake Lively. It achieves that but it's not exactly good. �Lisa, you need to calm down. In �The Shallows�, Blake Lively at least had a rock in the ocean on which she sat safely while a huge shark circled around her. That was frightening enough. 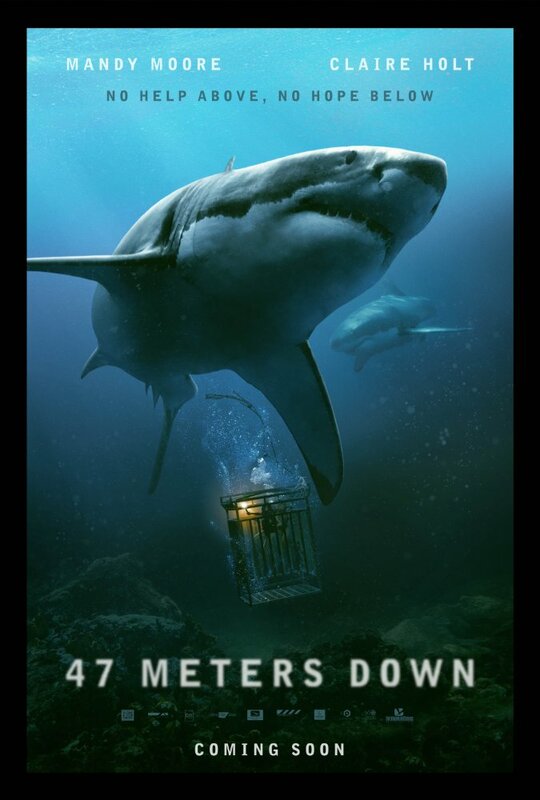 In �47 Meters down� two helpless woman are trapped in a steel cage while being attacked by such bloodthirsty white sharks. And there�s another problem they have to deal with. Oxygen deficiency. There are more pleasant ways to spend your holiday somewhere at an exotic destination. So you see it�s better to follow your instinct (or someone else�s) in such a way that you are spared from such life-threatening situations. No posts have been made on this movie yet. Be the first to start talking about 47 Meters Down!